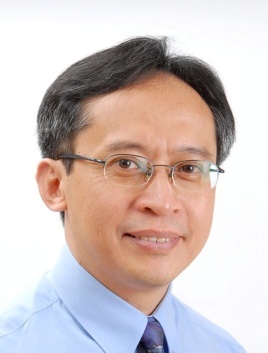 Zulkifli Ismail is a consultant paediatrician and paediatric cardiologist in a private hospital. He also serves as a visiting paediatric cardiologist at Damansara Specialist Hospital. He was formerly a professor of paediatrics and paediatric cardiology in Universiti Kebangsaan Malaysia(UKM). He has served as the head of the paediatric department and the director of Hospital Universiti Kebangsaan Malaysia (HUKM) as well as the medical director of its private wing, UKM Specialist Centre. Dr. Zulkifli also served as a past president of the Malaysian Paediatric Association (MPA) and is currently the editor of Berita MPA, a quarterly newsletter publication distributed to fellow members of the Association. He is also the chairman of the Positive Parenting Management Committee and serves as the chief editor of the Positive Parenting Guide, a quarterly publication aimed to equip Malaysian parents with reliable and practical local information on maternal, child and family care since 2002. Dr. Zulkifli is currently the president-elect of the Asia Pacific Pediatric Association (APPA) and current chairman of the Asian Strategic Alliance for Pneumococcal disease prevention (ASAP). He is also president of the Thalassaemia Association of Malaysia (TAM) from 2003. He serves as a board member of the National Population and Family Development Board (LPPKN), is a member of the Ministry of Health Unrelated Transplant Approval Committee (UTAC) and in the editorial board of the Malaysian Journal of Paediatrics & Child Health (MJPCH). He has also served as a reviewer for the Medical Journal of Malaysia and the Philippines Pediatric Infectious Disease Journal. He has more than 35 publications in peer-reviewed international and local journals in addition to numerous abstracts and articles for the lay-public on various issues involving child health, paediatrics and vaccinology. He has authored or co-authored two books for parents, one for medical students and one for nurses. In 2008 he was conferred the Darjah Panglima Mahkota Wilayah by the Malaysian King that carries the honorific title of ‘Datuk’. Dr. Zulkifli received his MBBS from University of Malaya in 1981, Master of Medicine (MMed) in Paediatrics in 1989 and was a fellow of the Academy of Medicine of Malaysia (FAMM) in 1999 and of the Royal College of Paediatrics and Child Health in the UK in 2007.